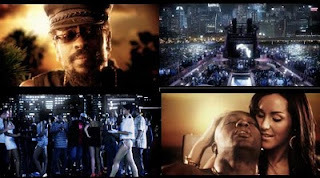 Artist Tuji "2G" Sanusi of Toronto has released his debut music video "Pleasure" featuring International Reggae artist Beenie Man, and Canadian artist Chris S. The music video shoot took place in Toronto, directed by Mike Portoghese of NE INC, entirely on a green screen backdrop. Post-production FX Effects work took up to 3 months to complete. Overall the stunning video, was well worth the wait! The track "Pleasure" is off of 2G's upcoming album, entitled "Nollywood Star". Watch video here.